Cabbages are one of my favourite vegetables to paint. This ornamental cabbage is full of surprises and colours, and is in direct contrast to the white snow. 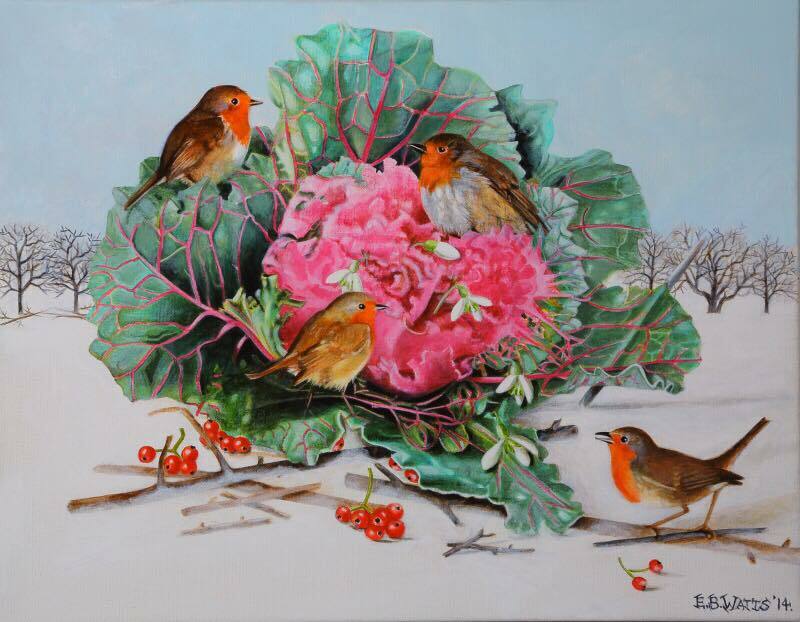 The robin is a bird for all seasons, but in this winter landscape they unite the composition as one.